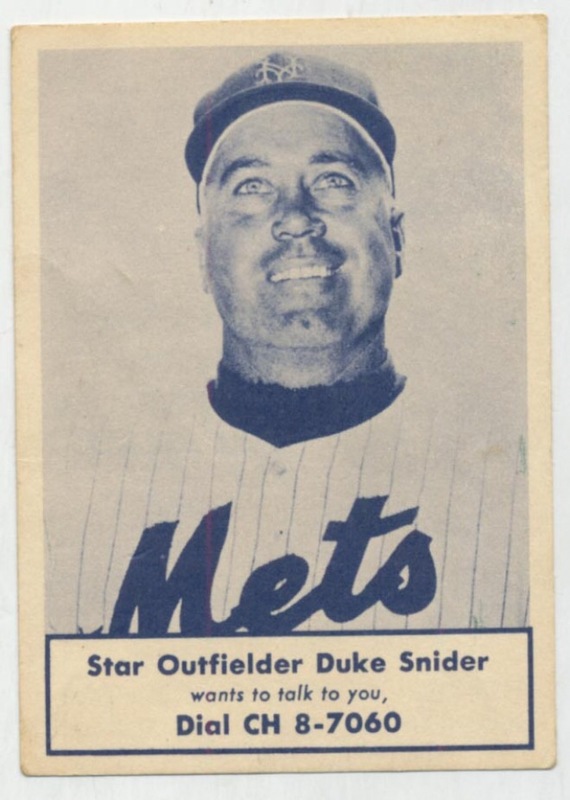 A rarely seen Duke Snider baseball card issued by the Nassau County (Long Island) Boy Scouts in 1963 sold for $866.40 in an auction earlier this month by Clean Sweep. I never expected to read about a rare regionally-issued baseball card in Forbes, but that’s exactly where I learned about this one in an article by David Seideman. It made it easier to remember the exchange, and It clearly worked because I still remember a couple of numbers like that from my childhood, and now I don’t even know what the number were for. I barely remember being able to dial a 7 digit number without the area code (slight exaggeration, but not really.) Thanks for explaining the old system.